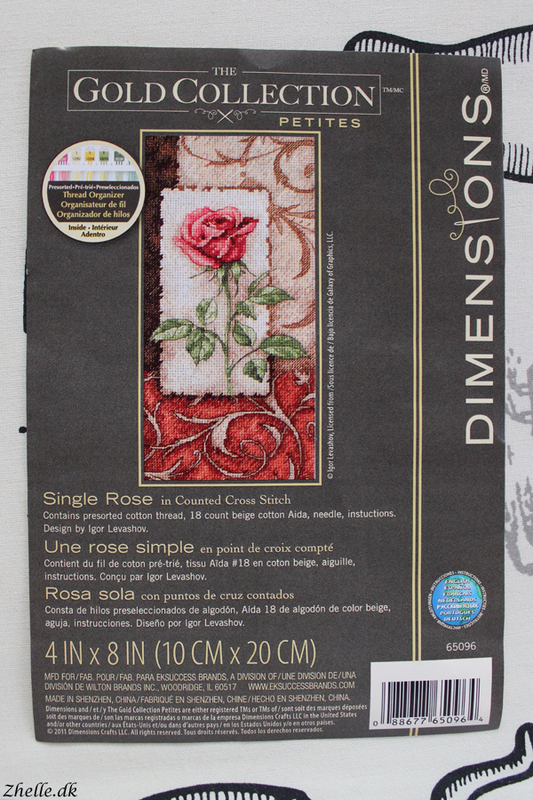 I cannot wait until showing you my newest finished project on Friday, but first I would like to show you my newest work in progress: Single Rose by Dimensions. When I say newest, I'm exaggerating a bit, because I actually started it quite a while ago. I only stitched a few stitches on it back then and haven't started it properly until now. It started out well until I decided to misread the chart. I haven't stitched a Dimensions design before, so I am not used to the half cross stitches. 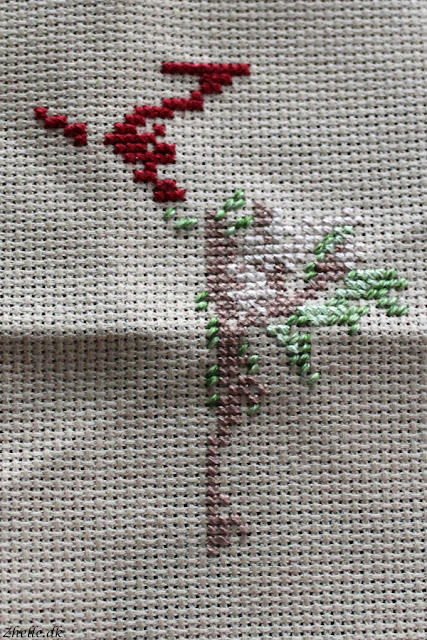 Because of that I decided to stitch some as full cross stitches, and didn't realize it until I had gone on to another colour (which I then decided to start the wrong place). So frogging commenced, and I am now on the right path. So far I am not sure if I like the thread, but I certainly don't like the thread holders. It doesn't make sense to me to have it clamped / glued together in the top, and there is no space for the mixed threads. I have made a thread organiser to keep the threads in when in use that is very similar to the one I used while working on my Harebell Panel. 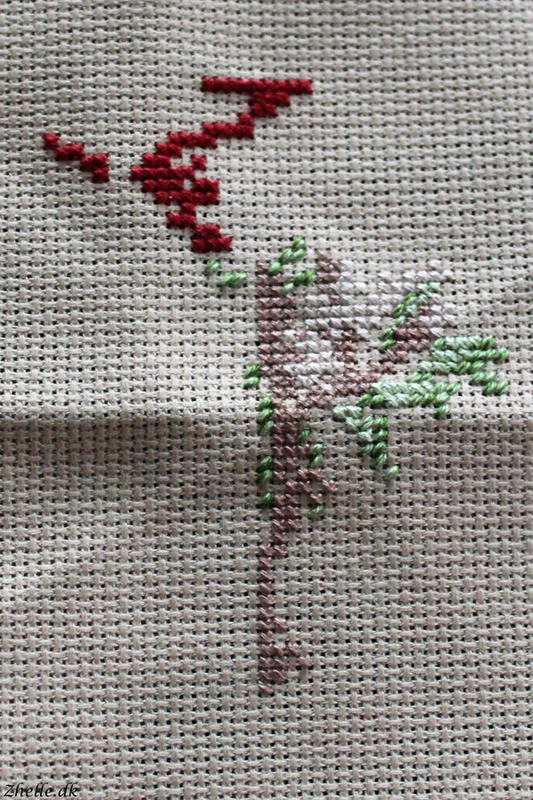 I look forward to stitching more and hopefully get a better feel for the threads!